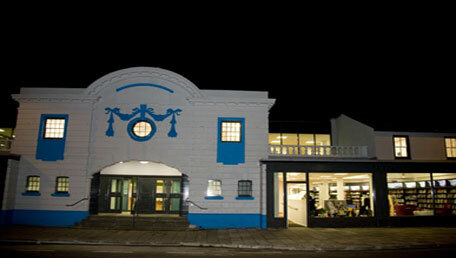 The Grade II listed Palace Cinema in Risca cost £2.25m to redevelop after standing derelict for more than 20 years. 'Local residents had campaigned to save the building, fearing it would be demolished if it decayed beyond repair. The authority will run a library, customer services, a youth space, meeting rooms and more at the premises as part of an ongoing drive to regenerate Risca,' says a report on the regional BBC news site. Read the full BBC online news report.